Children learn by our words and actions, stories and songs. 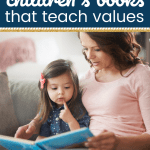 Children’s books are also a great tool for teaching kids values and life skills. Books help build vocabulary. They engage their mind, increase their creativity, fuel their imagination, and teach values. In our family, we use books like “Hands are Not for Hitting” by Elizabeth Verdick to help reinforce behaviors. 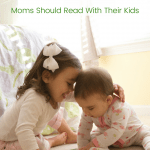 Children’s books can reinforce valuable lessons you are teaching your children. They help children to hear the same concept from a different perspective using different words than you may use. Typically, stories contain a relatable character that provokes curiosity. After reading the story, parents can ask questions that encourage thought, reflection and discussion further highlighting the lesson. Kindness, honesty, determination etc. can come to life through the pages of a book. Even as adults we read stories and learn about a life we haven’t lived, a place we haven’t visited, or a skill we want to develop. Below are six books we love and have used with our kids to encourage character development. Note: We are a participant in the Amazon Services LLC Associates Program, an affiliate advertising program. For more information, see my disclosures here. On the practical side, children’s books can also teach and reinforce valuable life skills- like not picking your nose!!! 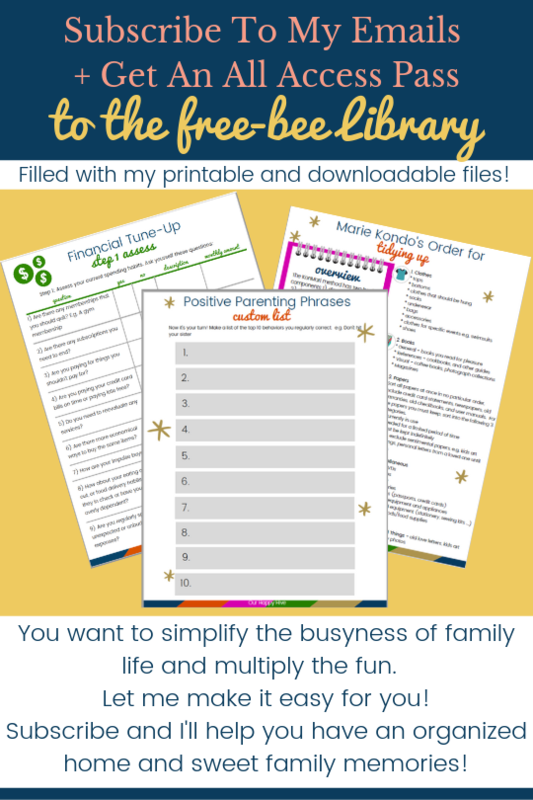 Potty training, preparing for a new baby brother or sister, and even doing chores. 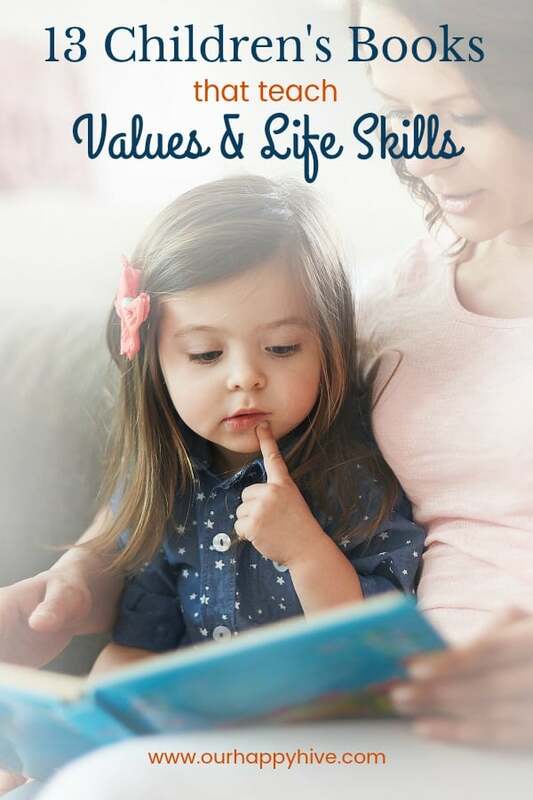 Below are seven life skills books you may want to consider for your little one! 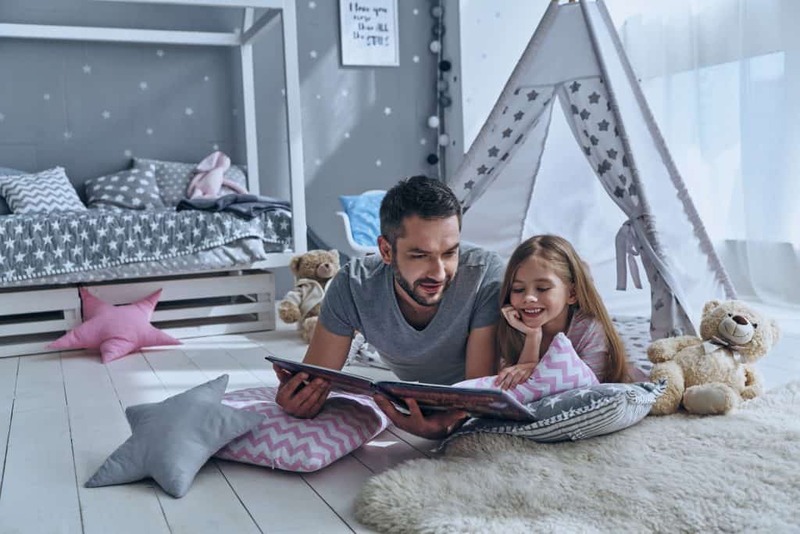 Whether you’re teaching your child to tell the truth or preparing them for a life change, children’s books are an invaluable resource for parents. You can click on any of the book cover pictures above or the links below to purchase from Amazon or check them out at your local library. I’d love to hear what other books your family has used with your preschooler or toddler. 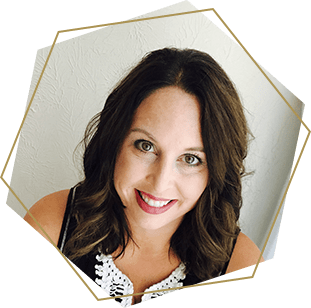 Instant Pot, Not Your Mother’s Pressure Cooker! I love this list! I was surprised that there were several books I hadn’t heard of! Thanks for the recommendations! Thanks Sarah! My daughter loved all of these books…seems like we read many of them hundreds of times!!! My daughter loves reading and since she’s bilingual she has access to more and more. Recently crazy about comic books (has it after her father…) and she keeps inventing her own stories and drawing them. It’s amazing how books work on our imagination! I’m not familiar with any of these titles but I’ll need to check them out. They really are great books! Aww, my girls have grown out of the baby book phase, but I still love to buy baby books for any new Mamas. Thanks for the tips. I love the Lama Lama Books and so do my kids! Great List!!! Thanks! Llama llama is a favorite around our house as well! I remember reading that Berenstein Bears book when I was a kid! That series did a great job talking about all kinds of subjects! It really is a great series. So many books with valuable lessons! I love this! I remover most of these books from when I was a preschool teacher! I also loved the No, David series, they are funny but full of good behaviors examples! OHhh- I hadn’t heard of the No, David series. I’ll need to look into them! I have a stack of Berenstein Books that I’ve been trying to sell to another family, but I just can’t bear (no pun intended) to part with them. They hold such beautiful memories of our story times when my twins were toddlers. THese are all certainly all great books … Having read many of them, I can vouch hat they are all important reads to instill life lessons. These books look great! When I was a kid my mom always read books to me that had a moral to the story! This is a great list! I’ll have to keep this as a reference when I’m asked for recommendations for children’s books.